Golf can seem complicated with the enormous amounts of inconsistent information available on the game. To improve the fastest it is important to find a teacher who provides some very Basic Golf Swing Lessons. What if your golf game could improve without ever having to hit a single golf ball or ever having to head over to a driving range. All you have to do is simply perform some simple stretches and basic movements and your golf game can improve rapidly. This is possible with a new and very innovative golf specific training program designed to teach golfers how to swing a golf club in a synchronized way with their body. A training program that teaches golfers how to hit golf balls with speed, safety, and strength. 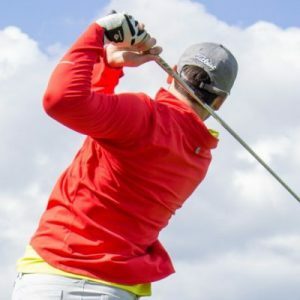 Golfers all over the world are improving their games and enjoying the game a lot more with a simple 60-Day Martial Arts style Golf Training Program. Imagine being able to learn how to move like some of the greatest golfers to have ever played the game. Imagine having to never question or second guess your golf swing. Imagine knowing that your chances of hitting the fairway on your next golf outing are a certainty. All these scenarios are possible with the implementation of this new Martial Arts Style Training Program. Golf has been over complicated in recent years with the enormous amounts of information available on the game in regard to equipment and coaching. Just go to YouTube and there are many videos with quick golf swing fixes and equipment claiming to lower your handicap. All of these videos and content certainly mean well, but they are unfortunately not targeted to a specific individual and are generally the subjective opinion of the person or company producing the video. Imagine if you can learn at your own pace and learn each specific movement that is needed to hit golf shots to the maximum of your potential. This will certainly improve a golfers score and overall enjoyment of the game. If you think about any other sport, do you think the best athletes think about mechanics when they are performing? Does a baseball pitcher think about technique or does a basketball player think about mechanics when dribbling or shooting a basketball? If they did think about those things they would certainly not be successful in that specific sport. To be successful at any sport an athlete needs to be trained and not think about mechanics. Check out below video of a Pro Basketball Player shooting the Three-Point Shot. I wonder if he is thinking about mechanics whilst netting all those three-pointers. The certain basketball player in this video also happens to be a very accomplished golfer playing off a very low golf handicap and recently played in a WEB.COM Tour event. Golfers of all ability levels can benefit from these new and very innovative Basic Golf Swing Lessons that are included in the 60-Day Training Program. The 60-Day Training Program teaches golfers the correct Body Movements, Club Movements and how to build a Golf Swing with Pressure, Speed, and Strength. Everything a golfer needs to improve is inside the program which is backed up by some of the worlds greatest ever players. These include Jack Nicklaus, Annika Sorenstam, and Greg Norman. The program includes targeted stretches to get golfers in the desired positions and mental training to help reach a golfers potential. The Short Game and Putting are covered in detail, and at the very end, golfers learn how to take all of what they have learned straight to the golf course. Just imagine if you never had to worry about shanking, skulling, slicing or hooking the golf ball ever again. Knowing that you can stand up over any golf shot and hit the ball with confidence. Once we are trained, hitting the golf ball will never be difficult ever again. To Learn more about this exciting new Golf Training Program Click Here. This post is very interesting to me. I am an avid golfer and I am always looking for ways to improve my game. Many of us forget about the conditioning part of golf. It can be very important, especially for us older golfers. I’m going to look closer at this program to help me with flexibility and strength. Thanks and have a great day. Yes, this very unique 60 Day Training Program will teach golfers of all ability levels how to swing the golf club in a synchronised way with their body. The lessons are easy to understand and the movements are very easy to implement. Most of the movements can be performed at home and to see results a golf ball does not even need to be hit. Definitely worth taking a look if you are a keen student of the game and looking to improve. This is some good information. You’re right that golfers over think everything and while the mental game makes up the majority having reliable fundamentals is definitely helpful! I haven’t tried this program but incorporating stretching into basic fundamentals of the swing is always worth considering. thanks for the post and i look forward to trying out this style of golf coaching. This is definitely the best online golf training program out there. It will teach students how to swing a golf club and use their body in sequence. After undertaking the training I honestly believe that it will help golfers of all ability levels. Definitely worth considering if you are looking at improving your golf. This is the program for me. I can’t tell you how many times I have changed my golf swing due to conflicting instructions on various golf teaching sites! I’ve been through the interlocking grip, the overlapping grip, the two-handed grip – as well as swinging straight back and through the ball, as opposed to swinging in a wide arch and through the ball. Half swings – full swings. Constant club head speed throughout the swing – speeding up club head speed as the swing progresses. Knees bent excessively – knees hardly bent at all. I’m ready for a real, honest actual, factual, commonsense approach to improving my game and this looks like it could be the ticket! Hopefully, it will give me the ability to eliminate all my worm burners! Yes if there is certainly one thing that is consistent with the current state of golf instruction and that is that it is inconsistent. So many golfers are confused with all the Youtube videos out there because they are not targeted to a specific individual, and are almost always treating an effect and not the cause of all swing problems. This program teaches golfers how to swing the club with speed, safety and strength. The need to think about positions and swing mechanics is not needed and all the training can be done from the comfort of your own own. It is about time something like this was created. Golfers who implement this trainign will make rapid improvements in their game. Good stuff Chris. As a weekend golfer, I can certainly relate to the issue of thinking about hitting the golf ball way too long! I talk myself into bad results. The physical game could use some help as well. Will the program you recommend also take into consideration existing problems such as bad knees, bad backs, etc.? My flexibility is not what it used to be (61 years of age) and wanted to see if this program was geared for a certain age. Thank you so much for sharing this article. Yes, the program has a stretching routine which helps get the body in the certain positions needed to achieve a consistent golf swing. The training is designed to help prevent future injuries of the back. I would advise to speak to a health professional if you have any pre existing injuries before starting the program. It is targeted for golfers of all ages and all ability levels including professionals. Thanks for this information Chris! I’m a recreational golfer, but your point on dialing mechanics so that your swing is second nature makes so much sense to me. Really enjoyed the inclusion of the Steph Curry video, as it illustrates what can be accomplished through repetitions! Or, for the aspiring golfer that doesn’t have time to hone his or her swing, there’s always the crazy swing-less golf club that I recently saw in my Newsfeed, but it seems like it takes a lot of the fun out of it to me! Anybody can learn the correct movements in the comfort of their own home without even hitting a golf ball. Learning the body movements of a fluid golf swing will make learning the game of golf a lot easier for most players and they will improve at a lot faster pace. You’re dead on about over-thinking mechanics while swinging. I’m a baseball hitting instructor and I see that problem all the time. It is next to impossible to be successful and mechanical at the same time. Trust what you’ve worked on and go out and do it! This golf program looks like a solid foundation for the beginner to do just that! It’s actually funny you mention baseball because on numerous occasions throughout the 60 day Training Program baseball is used as an example as how athletes setup for a pitch or swing athletically. The best baseballers setup athletically and hit the ball intsictively with no thought of mechanics. This 60 Day Training Program will help golfers of all ability levels achieve more consistency in their golf games and learn to hit the golf ball with speed, safety and strength. I can’t help but to agree with you when you say we’ve gotten away from the basic golf swing and moved into thinking the game is all about buying more and more expensive equipment. I don’t think any golfer could go wrong with these golf swing lessons to help move from mechanical thinking and swinging to conditioned movements so ingrained that I never have to be confused again about who’s system to follow or shanking and hooking the ball. Do you think this training program is good for golfers with a lot of prior experience? Golfers with a lot of prior experience will definitely benefit from this training. 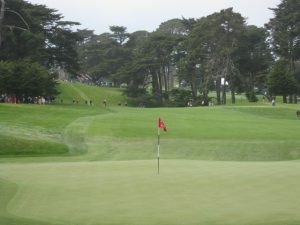 I myself have been as low as a two handicap, but had to practice a lot and hole plenty of putts to play off a 2. I always knew that I struggled with consistent ball striking and short game generally kept me in it prior to trying this type of training. The program teaches golfers how to move their bodies in a synchronized way with the golf club which is the key to hitting consistent golf shots. I have to admit that I was pretty skeptical at the start but decided to go into it with an open mind. After about 3 weeks of the training I discovered that my ball striking was getting a lot more consistent and my mishits were not as bad as before. I just can’t wait when I actually get a chance to start golfing at least twice a week as I am now confident I can finally reach a scratch handicap. Golfers with a lot of prior experience tend to over think and generally have preconceived ideas as to how to swing a golf club. They are normally focusing on getting into certain positions during the golf swing, which is really where traditional golf instruction has led them. Golfers will discover that the need to get into certain positions during the golf swing is not needed if they can learn to move their body correctly during the swing. This training is unique and is backed by some of the greatest players to ever play the game. It will help beginners improve at a rapid pace and experienced golfers will discover why they have never really got their game to a consistent level. It is certainly worth a try if you are looking to improve your golf. This sounds like a great program for golfers to improve their swing and their game, I never knew there was such a training program for golfing until reading your post today. Would this program be good for someone who has never touched a golf club before, but is interested in learning how to play the game of golf? Yes this program would be perfect for anybody that has never touched a golf club before but would like to learn the game of golf. The game can be learned at a rapid pace for beginners and more experienced players will greatly benefit from this type of revolutionary training. Hello Chris, I am not a golfer, although I have tried it a few times. Your post is very enticing and if the courses were not soaked I might have gone out to give this system a try. Why do you call it a martial arts style course? You really got my interest with that phrasing. I am a martial artists and have been for several years, so I was hoping to see the link. I did enjoy the post very much. The movements involved with the 60 Day Training Program are related to creating energy and focusing on how the body moves throughout the golf swing. Golfers can improve without even hitting a single golf ball. Improvements can be made rapidly by simply learning how to move the body in a synchronized way with the golf club. The person that created the program has a deep back ground in martial arts and has created a simple program so golfers do not need to worry about getting into specific positions throughout the golf swing. Definitely the quickest way to learn and improve skills with the game of golf.